It’s no secret that the Handle Bar has been the location for many an epic party, but lesser known is just how flexible and adaptable the space can be. 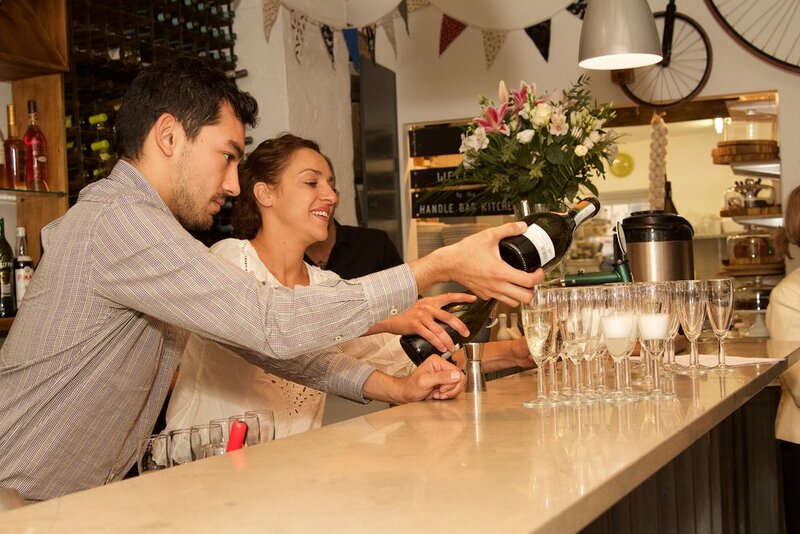 We regularly host a whole range of events, transforming the space to cater for many different types of functions. Here, we highlight some of our regular events that include (but are by no means limited to) our Prana Yoga Dinners, wedding receptions, gigs and Christmas parties. In HB’s early days, our good friend Simone from Prana Yoga spent time with us in the kitchen, and we have her to thank for teaching us everything we needed to know about cooking vegan food. A few years ago she had the great idea of bringing healthy food and yoga together. Of course, we jumped at the opportunity to host the event. 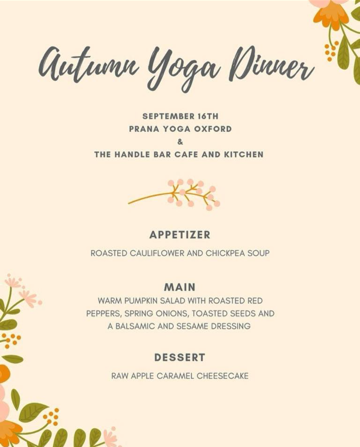 Ever since, we’ve been running the seasonal Prana Yoga dinners: a one hour yoga class followed by a vegan dinner based on seasonality, nutrition and mindful eating. The space is perfect for it as each class is limited to about 20 people, allowing for plenty of yoga space and a beautiful communal table where the yogis can socialise. If this sounds like something you’d be interested in, the next yoga dinner is already written in our diary for the 27th of January 2019. Celine is no stranger to weddings, as she ran weddings at the Perch for seven years. HB wedding receptions aren’t on the same scale but perfect for couples who want something a bit quirkier, low key and special. 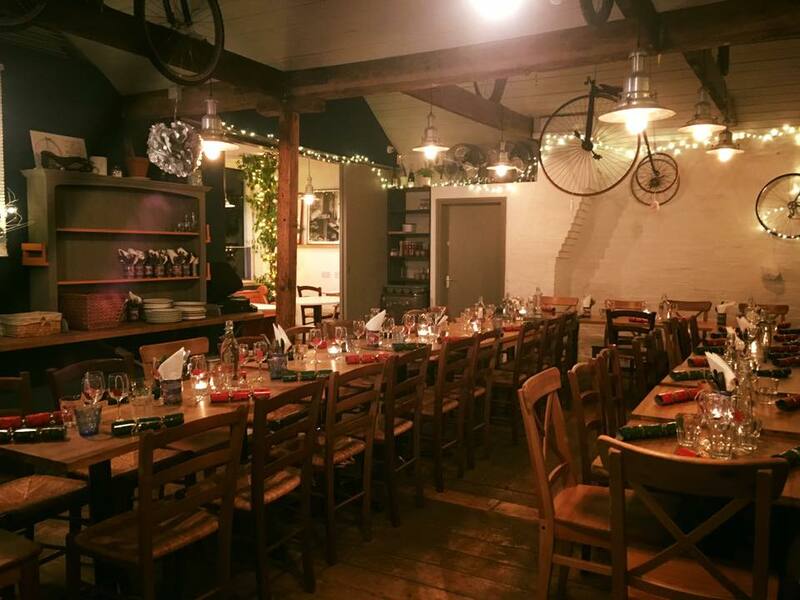 The space is extremely romantic in the evenings, with the warm glow from the fairy lights paired with wooden beams, bicycles and long banquet tables, creating an incredibly atmospheric and convivial evening. At the end of the night, tables are packed away and HB transforms into a dance floor. Now, with the addition of Le Bar, we can really push the boat out in terms of space. Pictured are friends of HB, Julia and Garry, who couldn’t think of anywhere more perfect to host their wedding reception. In true Handle Bar spirit, the couple are musicians and so the night was a musical blast of bands. Speaking of wonderful music, since opening, HB has regularly played the part of music venue. Its vaulted ceiling and wood structure makes for incredible acoustics and also our limited capacity allows for intimate gigs that are awesome for both the artists and crowd. The SOFAR sounds evenings are put on by a team of music-loving volunteers who are always on the lookout for atypical venues. They range from living rooms, to museum to restaurants. They are the most organised and respectful bunch of people and we love having them. The video shows classical accordionist, Iosif Purits, who performed at the last event, along with Morrow, Ethemia, Iosif Purits, Gecko and Low Island. Thanks to Purits, will never look at an accordion in the same way ever again. HB has been an extremely sought after Christmas party venue due to the cosy space and limited size. Book for a Christmas party of 35 and upwards and you’ll get full exclusivity of the space! Our Christmas menu is within the ethos of what we do: fresh, all hand crafted and deliciously nutritious. Of course we have the Christmas staples, but with an HB twist. OUP has been a very loyal Christmas client of ours and their parties are truly epic. They always have a great theme and they always go all out. We will never forget the first year which had a ‘Through the Looking Glass’ theme, complete with amazing props and wonderful costumes. Last year’s ‘Apres Ski’ party was equally impressive with a vodka ice sculpture, chocolate fountains and lots of moon boots. Thinking about hosting an event? Why not get in touch and we’ll see what we can do?